The Notting Hill Housing Group (NHHG) is one of the largest and most innovative housing associations in the UK. The Group owns, develops and rents 25000+ homes for those within a low-income bracket and for those with specific needs. NHHG also has a rich history of incorporating some of England’s landmark early housing associations such as Pathway and the Presentation Housing Association, many of these have now been developed into new business within the group. As with almost every organisation Notting Hill Housing faced the challenge of ever growing, increasingly complex data, both legacy (stored) and newly created. Not only this, the demand from the business for accurate, reliable, and consistent information on which to base decision was also on the rise. These three factors combined to cause the group to assess the quality of their data and understand just how accessible it was. Notting Hill Housing found that there were issues around almost all aspects of their data, quality was lacking and in turn producing inaccurate reports that required much manual manipulation and put enormous pressure on the IT department. Tackling this issue and improving data quality, information management and data governance seemed to Notting Hill Group to be paramount to delivering a successful Information Management Strategy and Service. Notting Hill Housing put together an overall strategy to refine and improve their Information Management across the business, covering data warehousing, a new reporting tool and improvements to the source data. They engaged with several providers and chose InforData Consulting for our expertise in Data Management, including Data Governance and Data Quality. The essential component in any Data or Information Management Strategy is the underlying Data Governance Framework. It is this single key piece of work that will future proof your strategy and set out the standards and processes that must be part of the solution. However delivering a Data Governance Framework is often seen as time consuming and complex with little business benefit. In fact the opposite is true. Many of the business areas within NHHG were designed to operate relatively autonomously, meaning that there was vast anomalies between processes and reporting structures, furthermore there were instances of these that were not incorporated into a central repository. A typical scenario for many organisations, producing silo’s of disconnected, disparate data. Notting Hill realised that they required much more extensive standardisation, governing the input of widely used data, such as property addresses and tenant information as well as a process to cleanse existing data. The key to delivering a successful project such as this relies on business buy in, fortunately for Notting Hill Group, both the project leadership team and senior management were aware of the depth and scope of the challenge and the benefits that improving data quality and putting in place a data governance framework would give, in fact the main “sponsor” of the project was the Finance Director. The main deliverables of the project were to provide NHHG with an audit of the existing data lifecycle, analyse existing processes and create the Data Governance Framework. In order to provide a robust, relevant framework, InforData Consulting worked collaboratively with Notting Hill Housing to identify and create a matrix of Data Owners and Data Experts, most of whom had a business focus. Pivotal business stakeholders were interviewed to enable us to capture and prioritise their perceived data problems and suggested improvements to processes. Taking this approach not only provides valuable insight into requirements but also encourages business users to take responsibility and ownership of something that is traditionally seen to be an “IT department” problem. For any project or solution there are 3 components; People, Process and Technology. When taking on this type of task it should be remembered that People are the most vital part of this particular process, without input, responsibility, care and sponsorship a Data Governance Framework will not succeed. From the information taken at interview stage we were able to design a structure that incorporated the matrix, detailed roles and responsibilities of the data owners and data experts and a new set of data standards and business processes. Also included in the framework were a number of KPI’s enabling progress and benefit to be assessed, this is a vital component and should really not be ignored. Once the frame work was in place a Data Governance Forum was formed, made up of business stakeholders, data owners/experts and IT. This forum allows Notting Hill to review the success of the data governance framework, introduce new data standards, refine processes and monitor progress and is chaired by the Finance Director, ensuring that the forum remains a regular focus. Applying the framework to existing and newly created data is the foundation for improving Data Quality. Maintaining data standards, cleansing data to fit those standards and providing a robust platform for moving forwards are all underpinned by the DG Framework, enabling Notting Hill Housing to not only improve now, but to futureproof Data Quality and feed accurate information to data consumers. 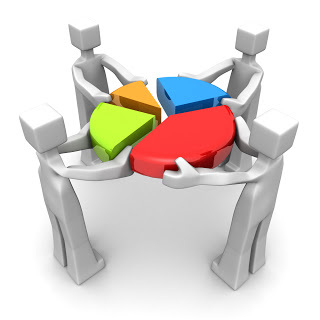 Implementing the Data Governance framework, is the first and most important step to a successful data quality project. There are many business benefits that are perceived to be associated with improved reporting or pretty dashboards but really the benefits gained by any organisation can be attributed to the quality of the data that feeds these reports/dashboards. Without accurate, reliable, consistent data reports are inaccurate, unreliable and inconsistent, often manipulated and frequently queried. The phrase “garbage in – garbage out” is a very appropriate one! Therefore improving the quality of your data and increasing the accuracy and reliability of your reports/analytics or dashboards allows information consumers and senior management teams to make better decisions and particularly important in customer led organisations, understand ones clients (tenants) in greater detail, encouraging proactive interactions and resolutions rather than reactionary ones.